Albert Venn "A. V." Dicey, KC (4 February 1835 – 7 April 1922) was a British jurist and constitutional theorist. He is most widely known as the author of Introduction to the Study of the Law of the Constitution (1885). The principles it expounds are considered part of the uncodified British constitution. He became Vinerian Professor of English Law at Oxford and a leading constitutional scholar of his day. Dicey popularised the phrase "rule of law", although its use goes back to the 17th century. His father was Thomas Edward Dicey, senior wrangler in 1811 and proprietor of the Northampton Mercury and Chairman of the Midland Railway. His elder brother was Edward James Stephen Dicey. He was also the cousin of Leslie Stephen and James Fitzjames Stephen. Dicey was educated at King's College School in London and Balliol College, Oxford, graduating with Firsts in classical moderations in 1856 and in literae humaniores in 1858. In 1860 he won a fellowship at Trinity College, Oxford, which he forfeited upon his marriage in 1872. He was called to the bar by the Inner Temple in 1863, subscribed to the Jamaica Committee around 1865, and was appointed to the Vinerian Chair of English Law at Oxford in 1882. In his first major work, the seminal Introduction to the Study of the Law of the Constitution he outlined the principles of parliamentary sovereignty for which he is most known. He argued that the British Parliament was "an absolutely sovereign legislature" with the "right to make or unmake any law". In the book, he defined the term "constitutional law" as including "all rules which directly or indirectly affect the distribution or the exercise of the sovereign power in the state". He understood that the freedom British subjects enjoyed was dependent on the sovereignty of Parliament, the impartiality of the courts free from governmental interference and the supremacy of the common law. In 1890 he was appointed Queen's Counsel. He later left Oxford and went on to become one of the first Professors of Law at the then new London School of Economics. There he published in 1896 his Conflict of Laws. As extensively shown in the work of Mads Qvortrup, A.V. Dicey was also one of the first supporters of the use of referendums in the United Kingdom despite his views on parliamentary supremacy. 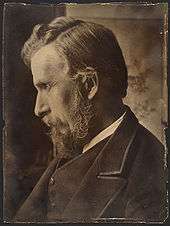 Dicey was a Liberal Unionist and a vigorous opponent of Home Rule for Ireland and published and spoke against it extensively from 1886 until shortly before his death, advocating that no concessions be made to Irish nationalism in relation to the government of any part of Ireland as an integral part of the United Kingdom. He was thus bitterly disillusioned by the Anglo-Irish Treaty agreement in 1921 that Southern Ireland should become a self-governing dominion (the Irish Free State), separate from the United Kingdom. Dicey was also vehemently opposed to women's suffrage, proportional representation (whilst acknowledging that the existing first-past-the-post system was not perfect), and to the notion that citizens have the right to ignore unjust laws. Dicey viewed the necessity of establishing a stable legal system as more important than the potential injustice that would occur from following unjust laws. In spite of this, he did concede that there were circumstances in which it would be appropriate to resort to an armed rebellion but stated that such occasions are extremely rare. Lectures on the relation between law and public opinion in England during the nineteenth century (2nd Edition) (1914). Cosgrove, Richard A. (1980). The Rule of Law: Albert Venn Dicey, Victorian jurist. London: Macmillan. Ford, Trowbridge H. (1985). Albert Venn Dicey: The Man and His Times. Chichester: Rose. Sheppard, Stephen M. (2008). "Dicey, Albert Venn (1835–1922)". In Hamowy, Ronald. The Encyclopedia of Libertarianism. Thousand Oaks, CA: SAGE; Cato Institute. pp. 123–34. ISBN 978-1-4129-6580-4. LCCN 2008009151. OCLC 750831024. 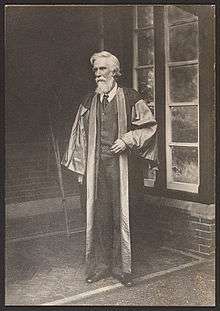 Wikimedia Commons has media related to Albert Venn Dicey. ↑ Bingham, Thomas. The Rule of Law, p. 3 (Penguin 2010). See Dicey's An Introduction to the Study of the Law of the Constitution, p. 173. ↑ Neale, Charles Montague (1907). The senior wranglers of the University of Cambridge, from 1748 to 1907. With biographical, & c., notes. Bury St. Edmunds: Groom and Son. p. 28. Retrieved 2011-03-04. ↑ Williams, George (2010). Australian Constitutional Law and Theory. The Federation Press. p. 2. ↑ Speech of Professor Dicey, at the Liberal Unionists' meeting, in the Music Hall, Birkenhead, 10 December 1887. ↑ "A. V. Dicey: Law of the Constitution". archive.org. Retrieved 2011-04-12.